Preheat oven to 400°F. Line baking sheet with parchment paper. Whisk first 4 ingredients in large bowl. Add butter. Cut in with a pastry knife until coarse meal forms. Whisk 1/2 cup cream, 1 egg, and extracts in small bowl; mix into dry ingredients. Gradually add buttermilk; toss until moist clumps form. 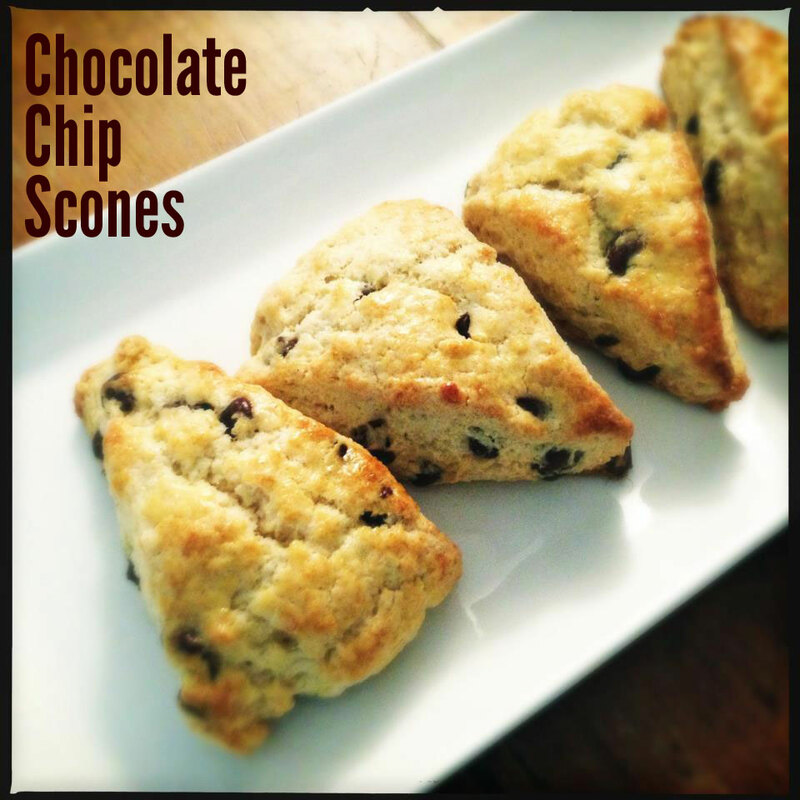 Toss in chocolate chips and blend gently. Gather dough into ball; flatten into disk. Press dough out on floured surface to 9-inch round. With a large knife (or pizza cutter), cut dough into 8 even slices (basically like cutting a pizza). Place on prepared sheet. Whisk 1egg and 2 tablespoons cream in small bowl for glaze. Brush on triangles. 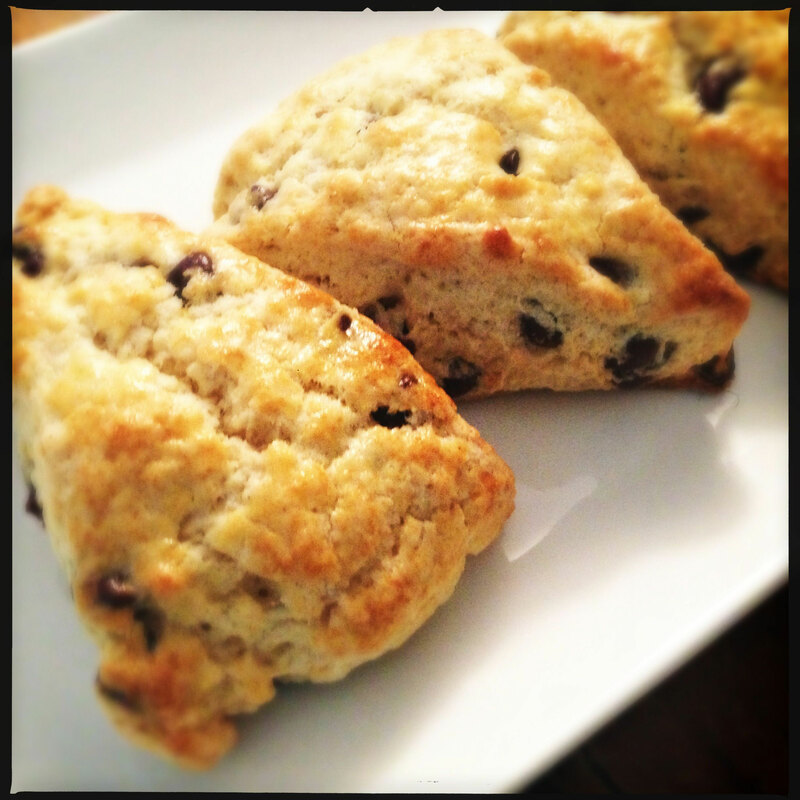 Note: Depending on demand, I split the rounds into 2 and make 16 smaller scones instead of 8.